Methylene Blue (methylthioninium chloride) is a synthetic compound used as a nootropic to increase memory, mood and longevity. 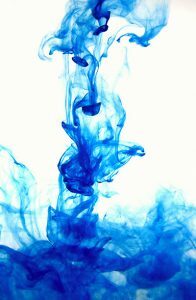 Soon after Methylene Blue was synthesized as a textile dye in the late 1800’s, it became the first synthetic drug to be used in humans. It was used for the treatment of malaria. Methylene Blue is currently being studied as potential therapy for mild cognitive impairment, Alzheimer’s and Parkinson’s disease, and other neurodegenerative disorders. All sharing a common problem with mitochondrial function. Your brain’s neurons rely almost entirely on mitochondria-derived energy. Failure of mitochondrial function can affect the rest of your body. But it’s particularly detrimental to your brain. This is where Methylene Blue steps in as possibly one of the most important anti-aging and neurological disease preventing nootropics we have available today. As a nootropic, Methylene Blue quickly crosses the blood-brain barrier. It improves mitochondrial efficiency and respiration, acts as an antioxidant, and increases brain cell lifespan. Resulting in improved memory and mood. Here we’ll dive into over 140 years of research on how Methylene Blue helps your brain. Neurotransmitters: Methylene Blue inhibits monoamine oxidase and acetylcholinesterase activity which increases levels of catecholamines and acetylcholine. And boosts serotonin and norepinephrine affecting anxiety, depression and memory. Mitochondrial Energy: Methylene Blue assists brain cell respiration by increasing oxygen. And donating electrons to the electron transport chain within mitochondria. This same process is used to feed mitochondrial ATP when you eat. So MB provides this fuel without you having to eat. Increasing cellular energy positively effects mood and memory. Neuroprotectant: Methylene Blue is a potent antioxidant. 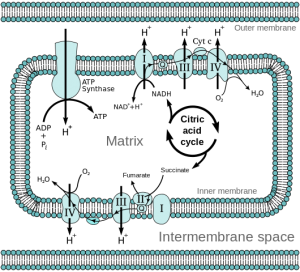 Reactive oxygen species are produced inside mitochondria. The first free radical that is formed inside a cell is superoxide. MB will bind to superoxide and reduce it to water. It stops the oxidative cascade at its very beginning. Before it gets a chance to do damage. How does Methylene Blue work in the brain? How does Methylene Blue feel? Methylene Blue (methylthioninium chloride) was first synthesized in 1876 by German chemist Heinrich Caro at BASF as an aniline-based dye for cotton staining. Ehrlich discovered that when MB was injected into animals in the lab, it would quickly concentrate in the brain. And had an uncanny ability to selectively target diseased tissues in the body. 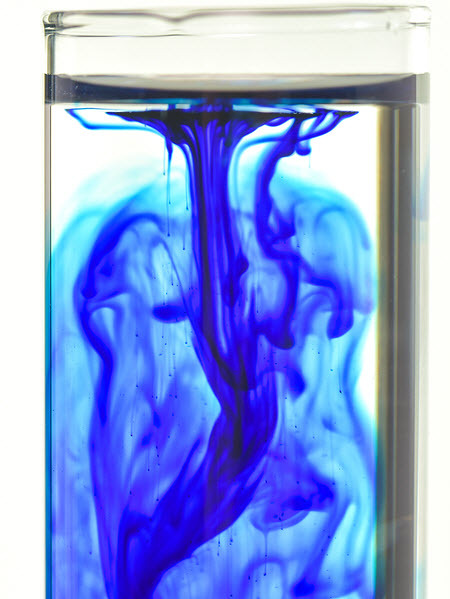 It was Ehrlich who coined the term “Magic Bullet” for this unique action displayed by Methylene Blue. A term still in use today. As a nootropic, Methylene Blue is used to enhance mitochondrial function, increase cerebral blood flow, and acts as an antidepressant. Methylene Blue boosts brain health and function in several ways. But two in particular stand out. Methylene Blue improves memory. Unlike other nootropics which often work by increasing neurotransmitter synthesis and neural signaling, MB improves memory by increasing brain cell respiration. Or how the brain cell utilizes oxygen. Studies show dramatic increases of cellular oxygen consumption and glucose uptake when using Methylene Blue. MB increases CMRO2 (cerebral metabolic rate) through increased activity in the mitochondrial electron transport chain. Cytochrome complex (cytochrome c) is a component of the electron transport chain in mitochondria. Playing a role in apoptosis and as an antioxidant. Methylene Blue also stimulates glucose metabolism. Taken together, increases in CMRO2 and glucose uptake means that MB elevates oxygen consumption which helps glucose increase ATP production. Increases in ATP production provides more cellular energy for better overall brain function including cognition, mood and memory. Methylene Blue is an antioxidant. MB has a unique mechanism of action that is fundamentally different from traditional antioxidants. During cellular respiration, the first free radical formed inside a cell is superoxide (O2). So think of Methylene Blue as having a unique dual property. First, it increases cellular energy production which normally leads to oxidative stress. And second, it eliminates this oxidative stress. Making it a metabolic enhancer and an antioxidant. Researchers tested Methylene Blue in animal models of neurological disease. First, researchers used rotenone (a potent pesticide) which causes severe dopamine depletion in the part of the brain associated with Parkinson’s. Methylene Blue rescued brain cell mitochondria from the damaging effects of this toxin. By donating electrons in the electron transport chain broken by rotenone. Essentially bypassing the broken transport chain with donated electrons as an alternative electron carrier. Methylene Blue also countered cerebral ischemia reperfusion damage. The tissue damage caused when blood supply returns to tissue after a lack of oxygen. As can occur with Traumatic Brain Injury. MB accomplished this by rerouting mitochondrial electron transfer. As we live life, our brain chemistry and metabolism changes. All of these changes can happen at any age. And are a product of the food we eat, what we drink, lifestyle habits, the air we breathe and more. So Methylene Blue can help for age-related cognitive decline, as well as a student looking to do better in school. 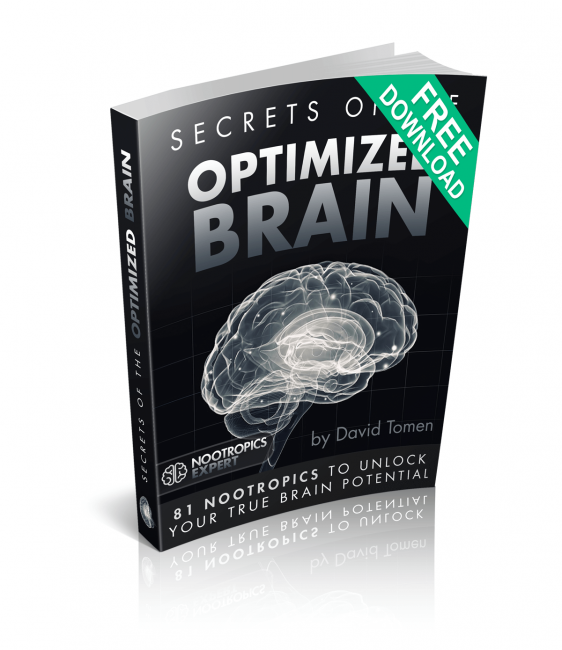 By boosting brain cell mitochondria energy levels. And improving cerebral blood flow. Low dose Methylene Blue supplementation provides memory enhancing effects in animals and humans. It works as an antidepressant, is anti-aging, helps dementia, Huntington’s and Alzheimer’s. Methylene Blue increases low blood pressure, improves cognition in healthy people, boosts mitochondrial function, is anti-microbial, can eliminate fear and even slow skin aging. Methylene Blue has an inhibitory action on the cGMP pathway, and affects other molecular events closely related to the progression of Alzheimer’s. Methylene Blue boosts neuron resistance to the formation of amyloid plaques and neurofibrillary tangles. And helps repair impairments in mitochondrial function and cellular metabolism. This is particularly significant because most existing treatments for Alzheimer’s can only prevent the disease before it is diagnosed. But Methylene Blue shows promise in delaying the effects of Alzheimer’s and dementia after it is diagnosed. Research shows that Methylene Blue is an effective anti-aging nootropic. MB increases mitochondrial complex IV by 30%, enhances cellular oxygen consumption by 37-70%, increases heme synthesis, and reverses premature senescence caused by H2O2 or cadmium. Mitochondrial complex IV is the last enzyme in the respiratory electron transport chain of mitochondria. The last step in synthesizing ATP. Your cellular and mitochondrial source of energy. Senescence or biological aging is the gradual deterioration of cellular function. And is caused by telomere shortening that triggers DNA damage in response to reactive oxygen species, hydrogen peroxide (H2O2), cadmium and other toxins. Methylene Blue helps prevent premature senescence or premature cell death. Animal studies have shown that a single low dose of Methylene Blue enhances long-term contextual memory. This type of memory is the conscious recall of the source and circumstances of a specific memory. Other studies show that Methylene Blue in low doses taken after the event helps memory retention of the event. A study done with rats revealed why this works. In this study, rats received 1 mg/kg of MB post-training for 3 days. The researchers then measured cytochrome c oxidation in participants brains. The idea was to determine if an increase in metabolic energy was behind the memory enhancing qualities of MB. The study found that in the Methylene Blue treated group, brain cytochrome oxidase activity was 70% higher than in the placebo-treated group. Methylene Blue as a nootropic will likely feel different than any other supplement you’ve ever tried. When reading or studying, once you’re done, you should feel like you fully understand the subject material. And you’ll be able to use what you learned in the future. Methylene Blue seems to facilitate a full understanding of something on the first try. Many neurohackers report the biggest nootropic effect they experience with Methylene Blue is “after the fact learning”. You take in the information. And it’s like your brain sorts through the material. Then stores it in a form you can easily access later. Methylene Blue has this uncanny ability to rewire your brain to forget about any negative associations you have of a situation. And only retains the positive aspects of that memory. Some report that Methylene Blue makes you “feel young again”. It eliminates social anxiety. You’ll feel focused and more confident. Workouts seem easier because you have more energy. Your mitochondria are energized. And you may find that recovery from workouts is easier. Methylene Blue helps eliminate stress. So you have more energy in any situation with a relaxed state of mind. And one recurring theme from many is improved sleep while using Methylene Blue. Research into Methylene Blue for its therapeutic value goes back to the late 1800’s. But it’s only in the last couple of decades that scientists have been able to decode exactly how Methylene Blue works in the brain. 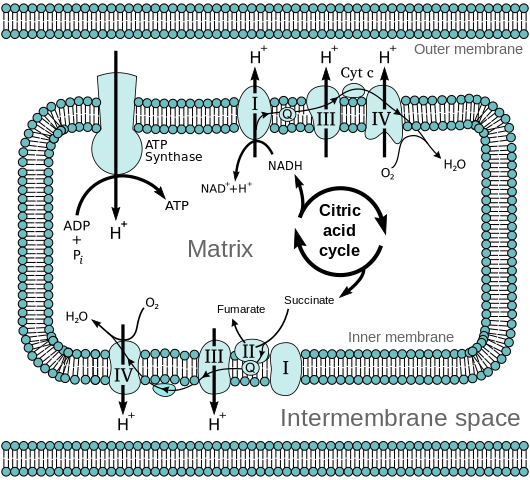 All the way down to the molecular level in mitochondria. A study in 2017 found that Alzheimer’s Disease could be caused by more than the accumulation of amyloid beta in the brain. The scientists looked into the two main components that produce energy in cells. Glycolysis is the mechanism used to convert glucose into fuel for consumption by mitochondria. Burning this fuel in mitochondria uses oxygen in a process called mitochondrial respiration. 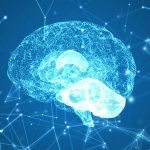 A study conducted at Children’s Hospital Oakland Research Institute may have found the solution to this mitochondrial energy problem in brain cells. The researchers found that Methylene Blue can prevent or slow the decline of mitochondrial function. One of the key aspects of Alzheimer’s is mitochondrial dysfunction. Specifically complex IV dysfunction. And this is where Methylene Blue steps in. The study found that Methylene Blue enhances complex IV in mitochondria. It increases oxygen consumption. And it reverses premature cell death. 26 healthy volunteers aged 22 – 62 participated in a double-blind, randomized, placebo-controlled clinical trial. Purpose of the study was to measure the effects of Methylene Blue on working memory and sustained attention. Study results showed that a single low-dose of Methylene Blue resulted in an increase in short-term memory ability. In an area of the brain associated with the senses and visual processing. Another study published in the American Journal of Psychiatry tested fear extinction (elimination of fear) and contextual memory. Both are forms of long-term memory. In this study, participants received either Methylene Blue or a placebo after being placed in a small dark chamber for a couple of minutes to address their fear. Increasing evidence shows that bipolar disorder may be a progressive condition. Dealing with bipolar symptoms long-term results in deterioration of the cortex and less gray matter. 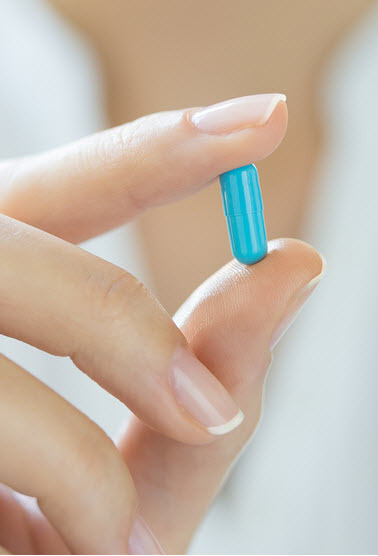 A study at Dalhousie University in Halifax compared the effectiveness of lamotrigine (Lamictal®) along with daily supplementation of either 195 mg or 15 mg of Methylene Blue in patients with bipolar disorder. Patients took a dose (Lamictal and either 195 mg or 15 mg of Methylene Blue) for three months. Then switched to the other dose for 3 months. 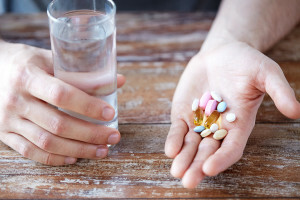 The team found that bipolar participants had reduced depression and anxiety when taking the higher dose of Methylene Blue compared to when they were on the lower dose. Recommended safe doses based on clinical studies with animals and humans ranges from 0.5 – 4 mg/kg. So a 90 kg (200 lb.) body weight translates to 45 – 360 mg of Methylene Blue. 45 mg of Methylene Blue is a safe starting dose. But 360 mg of MB is much too high in my opinion even if you’re 200 lbs. The bottom line is there is no true recommended dose for Methylene Blue. My recommendation is start with the lowest dose of 0.5 mg/kg and see how you react. Methylene Blue is water-soluble so you don’t need to take it with a meal, or healthy fat like some nootropics. Methylene Blue has a half-life of about 5 hours. So you can dose twice a day. Methylene Blue is famous for turning urine blue. But for most neurohackers, your urine will only stain blue at doses roughly exceeding 500 mcg. Some recommend preventing blue urine by mixing Methylene Blue with ascorbic acid for 3 hours before taking it. Methylene Blue is also available as a doctor-administered injection for therapeutic use. Typically used to treat diseases like malaria or with anti-cancer therapy. Methylene Blue shows a hormetic dose-response, with opposite effects at low and high doses. Adverse effects of Methylene Blue also come from chemical impurity. Even pharmaceutical (USP) grade Methylene Blue can contain impurities like arsenic, aluminum, cadmium, mercury and lead. At low doses, these contaminants are not that big of a problem. But higher doses will result in the accumulation of these toxins in your cells. Side effects with Methylene Blue are rare when doses are under 2 mg/kg. But can include stomach pain, chest pain, dizziness, headache, sweating, confusion, high blood pressure, shortness of breath, accelerated heartbeat, tremor, skin turning blue, urine turning blue or green, reduction of red blood cells, or jaundice (only reported in infants). Monoamine Oxidase (MAOI) inhibition becomes a big problem at around 2 mg/kg of Methylene Blue. So if you are using antidepressants or antianxiety medications that affect serotonin, you should NOT use Methylene Blue. Because using Methylene Blue with one of these medications could cause Serotonin Syndrome. This includes SSRI’s and MAOI’s such as citalopram, escitalopram, fluoxetine, fluvoxamine, paroxetine, sertraline, zimelidine, bupropion, buspirone, clomipramine, mirtazapine and venlafaxine. Do not use Methylene Blue if you are pregnant or breast-feeding. Methylene Blue is sold as a liquid, and in crystalline powder form. Industrial-grade and chemical-grade Methylene Blue is sold as a dye or stain. And can consist of more than 8% – 11% of various contaminants. And should NOT be used as a nootropic. Only pharmaceutical (USP) grade Methylene Blue should be used as a nootropic. Ask for a Certificate of Analysis which should include the amount of contaminants such as arsenic, aluminum, cadmium, mercury and lead. We recommend using Methylene Blue as a nootropic supplement. Your body does not make Methylene Blue on its own. So to get its benefits you must take it as a supplement. 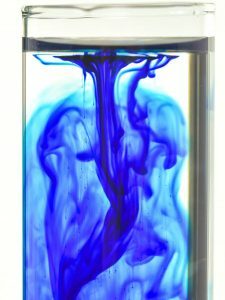 Methylene Blue is especially helpful for those dealing with anxiety and depression. Methylene Blue is also particularly useful to students and executives who want to boost cognition, learning and memory. Methylene Blue is a fast-acting nootropic that can also help prevent brain mitochondrial degeneration. Providing potential as an anti-aging nootropic. Methylene Blue donates electrons in the electron transport chain in your mitochondria. So experienced neurohackers suggest avoiding CoQ-10 or idebenone when using MB because it seems to make Methylene Blue much less effective. Idebenone is an Alzheimer’s drug that has some nootropic benefit. But it works similar to Methylene Blue because it acts as a transporter in the electron transport chain of mitochondria. Competing with Methylene Blue. [i] Allexsaht W.J. “The use of methylene blue in the treatment of catatonic dementia praecox patients.” Psychiatric Quarterly. 1938;12:245–252. Do you have any recommendations on reliable places to purchase methylene blue, in either powder or liquid form? 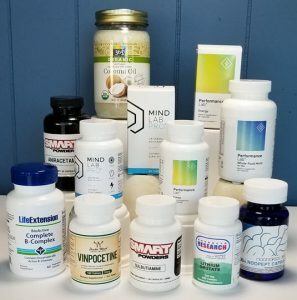 Many places I’ve found aren’t actually selling it for nootropic uses and it’s nearly impossible to figure out how to get a proper dose. Larry, synthetic nootropics including the racetams cannot legally be sold as dietary supplements in the USA. (Not sure about the legality in other countries). Methylene Blue as a nootropic is included in this category. They are often called “research compounds” and “not for human consumption” for that reason. The only ‘legal’ USP-grade pharmaceutical Methylene Blue is available as a prescription drug in the USA. This is not a well know nootropic. 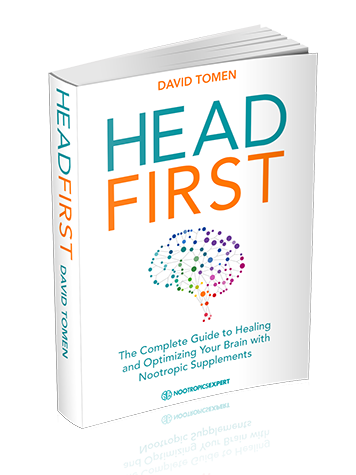 So most suppliers will not refer to it as a nootropic, dietary supplement or any other term normally associated with a supplement. In the USA I’m aware of Blue Brain Boost and Ceretropic who offer it in their store. I believe you can also get it from Acros Organics but need to search for the “pure” version. In Europe I’m aware of MitoBlue. If you dig deep into the supply chain you’ll find that all Methylene Blue ‘originates’ in China. Not necessarily a bad thing. But you need to get a Certificate of Analysis to find out the level of contaminants. Sometimes it is available (by lot number) on their website. Or you need to ask for it. And you’re right about figuring out the ‘proper dosage’. I can’t go into specifics because it entirely depends on the concentration of Methylene Blue which varies from manufacturer to manufacturer. There are a few excellent threads on Longecity and reddit which talk about dosing this nootropic. If we put in a small amount of activated charcoal with the Methylene Blue drops would that reduce the effects that the chemical impurities? Philip, you are correct in that all Methylene Blue contains impurities. USP Grade MB available by prescription-only may be an exception. But some suppliers also mark their Methylene Blue as USP Grade or ‘pure’. Look for the Certificate of Analysis on their website (which is sometimes available by ‘lot number’). Or ask them for it. Levels of impurities varies greatly from USP Grade to ‘industrial grade’and other grades. I’m rather paranoid about limiting the toxins that I consume. But I think you may do more damage to your brain by stressing about it than the actual amount of contaminants in USP Grade Methylene Blue. Especially given the very small doses used. Activated Charcoal is an excellent detox supplement. But I don’t know if that would effect the bioavailability of Methylene Blue. It may. There are a couple of ‘heavy metal chelators’ here on Nootropics Expert. Do a search using the search bar top right. One of those may be a better option for detoxing heavy metals than Activated Charcoal when using Methylene Blue. But honestly that’s purely a guess on my part. Just wondering if I am understand right….a safe starting dose would be 45mg for a 200lb person and it goes on to say that turning urine blue “your urine will only stain blue at doses roughly exceeding 500 mcg”…so isn’t 45 mg about 90 times more than 500mcg (micrograms vs milligrams)….to me it looks like even the lowest safe dose will turn urine blue. Maybe it’s not a big deal but I was just wondering if 500mcg was meant to be 500mg. Having said that I am looking forward to getting my powder and making a solution to try. Christian, you are correct. This stuff has amazing staining power. Likely the reason why its first use was to dye textiles (i.e. blue jeans). Thank you David for your reply….I am still unclear though…you say I am correct…does that mean that 500mcg mentioned in the article was supposed to say 500MG? If 500 mcg micrograms causes blue urine then a dose of 45mg will be very colorful indeed. Christian, 500 mcg is 0.5 mg of Methylene Blue. And that wasn’t a mistake. MB is processed for excretion by your kidneys. And like everything else it’ll vary from person to person. Just think of the look you’ll get from the guy in the next urinal. He’ll think you just teleported in from Avatar. Hi David, very good article ! Cant wait to pee blue ! I found high pure grade 99,9% Methylene Blue on ebay. But im not sure what that exactly means. Can this 99,9% of MB still be impure with heavy metal and stuff. Meaning, is MB impure in itself? Hope you understand what i mean. Chris, as far as I can tell from all my research, all Methylene Blue contains impurities. Even USP grade. But it’s “USP Grade” I’ve found to be safest to use and with the lower levels of heavy metals. That said, always ask for a Certificate of Analysis for this stuff. Especially for a vendor that you’re not familiar with like the one you found in eBay. Send them an email and ask for the CofA for that batch or lot number. If they can’t produce one that’s trustworthy, find another seller. Thanks for your advice, David ! Is there any interaction between methylene blue and melatonin? Juliano, I’m not aware of a direct interaction between methylene blue and melatonin. But MB does affect serotonin levels and some of this neurotransmitter is converted into melatonin. Thanks so much for your thorough review here. I started w/ the .5mg/kg yesterday, and felt like various portions of my mental processing were a little more turned as a result. Q: I’d love to see what the ceiling is w/ 4mg/kg, but the taste is a bit difficult for me. I’ve been diluting it in coffee, but even that isn’t enough to mask the taste. Any thoughts? Thanks! Chris, Methylene Blue was one of the more pleasant surprises I discovered and started using last year. Can’t help you on the taste however. I put mine in a small glass of cold water. For both liquid and powder varieties of MB, I just encapsulate them in a large size gelatin capsule. Obviously for the liquid version, you need to encapsulate it each time just before you take it. But at least your tongue and teeth don’t turn blue! This is so very interesting. As it is an MAOI do you have to watch carefully what you eat to avoid dietary interactions, like fermented foods etc? also, I take a small amount of Trazodone 50-100mg per night and Ativan 1mg 2 x per day. I know Ativan does not affect serotonin, but trazodone while not being an SSRI, does affect it but I do not know to what degree. At this dose do you think there is a potential for interaction or the syndrome? Rebekah, I would not recommend using any kind of nootropic that may affect serotonin and/or dopamine while on prescription antidepressants of any kind. It’s far too dangerous and not worth the chance of causing either Serotonin Syndrome or heart problems from hypertension. I get why you want to get off the prescription antidepressants. And nootropics are certainly a great alternative. But until you get off the meds, please be very, very careful. Thanks David. I appreciate it. I know of only one person who had the syndrome and it was caused by a mix of PRESCRIBED medication. Dr’s are largely not as on top of these interactions as they should be and we have to be vigilant ourselves. I do take NAC which affects dopamine, but I have had no adverse reactions for 6 months so I will keep it at 1200 as opposed to 1800mg. I will be super careful. Thanks. Hi So if i have a 1% (10mg/ml) 100 mg total liquid MB and I want to start at .5 mg/kg per day starting dose and I weigh 200 lbs I would take 45mg or 4.5 ml correct. Is it ok to mix in water and drink it? Rob, math was absolutely my worst subject in school. Right down there with French. So I’m encouraging someone with better math-qualifications than I to verify your dosage. 45 mg sounds about right but not sure of 4.5 mg. And mixing it with purified water is the easiest way to take your MB dose. Hey, do you have any sources that talk about the norepinephrine and serotonin increase due to Methylene blue? Are the increases noticeable at low doses? Also do you think it can be wise to take Methylene blue daily? If so how could I competently manage doing so, thanks. 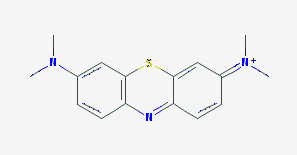 Kaidi, Methylene Blue is a potent MAO-A inhibitor of norepinephrine neurons (https://www.ncbi.nlm.nih.gov/pmc/articles/PMC2844866/), and seems to directly effect serotonin metabolism (https://www.ncbi.nlm.nih.gov/pmc/articles/PMC2078225/). I believe even at low doses but you’d have to dig deeper into the medical literature. I took 45 mg of MB daily for several months with good results. But then I’m not on any medication that is contraindicated with MB. This is not something you’d want to try if you are using any type of SSRI, SNRI or Tricyclic antidepressant. Do you know of any other nootropics aside from CoQ-10 that could have positive and/or negative effects with mb? I’m trying to make a nootropic stack that incorporates mb. Thanks! Kaidi, the obvious nootropics that would also support mitochondria are PQQ and NADH. And if you choose to do a higher dose of Methylene Blue be careful about using nootropics that directly boost serotonin because it could cause Serotonin Syndrome. Those that come to mind include 5-HTP and St. John’s wort. From there I suggest building your stack around what your are trying to achieve. And just keep an eye out for drug interactions and side effects for each nootropic that you are considering. I was reading about “NADH” on your site and it seems that it stimulates the production of serotonin, with that in mind would it still be wise to combine these two? 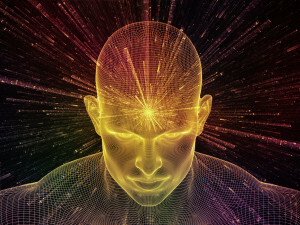 Kaidi, see the first part of this section on how Methylene Blue uses NADH: https://nootropicsexpert.com/methylene-blue/#how-does-methylene-blue-work-in-the-brain. “Methylene Blue functions as an alternative electron carrier in the electron transport chain in mitochondria. It accepts electrons from NADH and transfers them to cytochrome c…” So MB needs NADH to provide one of its benefits. You naturally have NADH available in your body. But how the two would work together as a supplement combo is not covered in the medical literature. I haven’t tried this combo myself so don’t know how it would work together. And MB does not directly stimulate the synthesis of serotonin like 5-HTP or L-Tryptophan. It plays a role in ensuring the serotonergic system works efficiently. NADH + Methylene Blue will likely have different effects on different people depending on your unique biology. This is one of those “gray” areas with no clear direction either way. I haven’t seen anything on skin staining either. But since methylene blue is a dye then I would think it would be similar to getting rid of ink stains on your skin. I bought methylene blue liquid from Blue Brain Boost. You wrote it can contain toxic metals(like lead,cadmium,aluminium,mercury etc) in this article. Some of these toxic metals have pretty long half life like over 20 years so if it contains,I feel pretty scary. However I heard almost whole medication which are made by medication company contain some of these toxic metals. Do you think that almost medication including ‘prescribe only’ contain toxic metals?If they so,I will never mind because I also take prescribed Med from Doctor with long year and no adverse reaction. Yusuke, it would not surprise me if prescription meds also contained heavy metals and other toxins. Unfortunately, we can’t ask for a Certificate of Analysis from someone like Bayer or Pfizer. But we can with supplement companies. The Methylene Blue that you purchased is about as ‘pure’ as you can get. But there are ways to remove heavy metals and other toxins from your body. It’s a long-term commitment but it’s doable. Search Nootropics Expert for “heavy metals” and see what turns up. I will try to do as you say. On a recent podcast you mentioned MB is for the ‘brave’..The host interrupted you and mentioned food safety but I think he misinterpreted you…were you going to mention lucid dreaming…or what did you mean by that? Re. MB & sleep are the reported benefits purely anecdotal or are there any studies backing that(I couldn’t find any)? sight if I choose to. Pete, a lot of the “How does it feel?” input I found was from reports by those who use Methylene Blue. And my own experience. It’s highly unlikely someone would fund a clinical study for MB and lucid dreaming. I did experience a much more active dream life when using MB. I felt more like my younger self. And one of the biggest benefits was “learning after the fact”. In other words, being able to remember what you read or studied. 6.1 Cancer in humans No data were available to the Working Group. 6.2 Cancer in experimental animals There is limited evidence for the carcinogenicity of methylene blue in experimental animals. 6.3 Overall evaluation Methylene blue is not classifiable as to its carcinogenicity in humans (Group 3). Brian, I deleted your other lengthy comment only because of the length. Where did you get this information? I’m not sure about the number of drops needed. I have a solutionwith 1% mb. one drop has 50 mg. So one drop has 0.5 of mb. 6o drops for the minimum dosis? or when you write 0,5 to 4 mg /kg it means the solution of 1% and not the amount of the suvstance? Roberto, this is one of the nootropics where we are entirely dependent on the manufacturer for dosage. Because only they can tell us what concentration a formula or solution is. I was using MB from Blue Brain Boost as I recall. 5 drops provided about 45 mg and it worked great for me. Do you have any update on sources for methylene blue? Is there anyone in Canada? Monica, search for Canadian suppliers of pharmaceutical grade (USP) Methylene Blue. They seem to change all the time here in the USA. As far as I know, Sigma Aldrich in the US still manufactures this type of pure MB.